This tropical-themed water park is currently under construction and is situated on 11.5 acres, and will feature over 15 water attractions designed for guests of all ages. Island H20 Live! Waterpark will be the first new water park to open in Kissimmee, FL in thirteen years. Island H20 Live! will feature a 24,000 sqft dual beach wave pool featuring ADG’s Wavetek® technology, a 1,300 ft lazy river with a 500 sqft beach entry, an activity pool with basketball and crossing lagoon, a multi-level play structure, a shallow kids activity pool with play features, and nine water slides. In addition to the wide array of attractions and amenities, Island H20 Live! will also be home to copious amounts of lush landscaping and beach theming throughout. 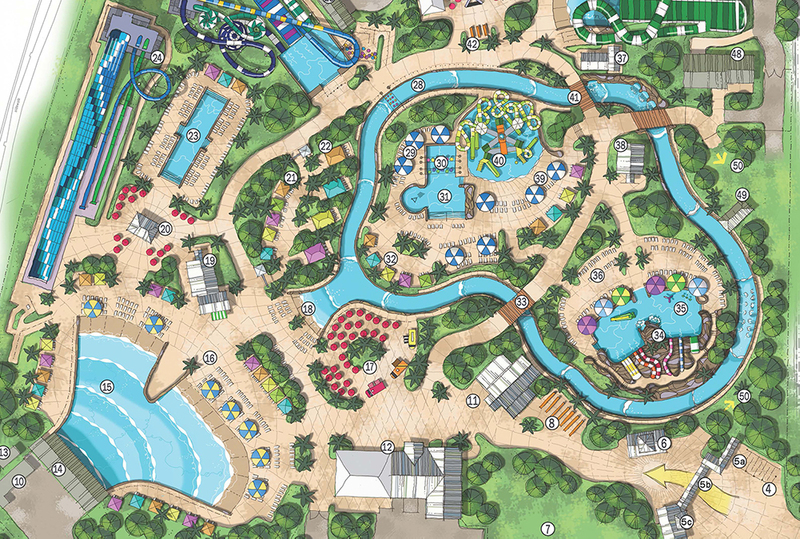 Learn more about ADG’s approach to designing and building waterparks today.